The Maryland State Police recently reported that arrests have been made and indictments filed for participants in a large Eastern Shore drug ring that also operated in Delaware. The investigation began back in the spring when the Queen Anne’s County Drug Task Force began to focus on the alleged ring leader, a 31 year old male living in Centreville, who police believed was importing and distributing large amounts of heroin, cocaine and narcotic pills in the area. An intense investigation led to the execution of multiple search warrants that were executed on June 1. The search warrants resulted in the seizure of close to $32,000 in cash, seven vehicles, five firearms and over 250 grams of cocaine. Police also seized smaller amounts of marijuana, oxycodone and heroin. The alleged ringleader and some of his co-defendants were charged with multiple criminal counts in three separate cases, while other co-defendants were just charged in one case. It appears from court documents that the charges stemmed from alleged illegal activities that occurred on multiple different days. The first date of incident appears to be April 30, and then there are multiple dates during May. The last date is June 1, which is when the search warrants were executed and a few of the defendants (including the alleged ringleader) were arrested. This means that that some of the defendants will face the difficult task of fighting the state in three separate cases, which seems unfair but is completely legal. Police have no obligation to arrest a defendant the first time they commit a crime, but rather can wait days or even months to fully complete an investigation. The defendant may be charged in different cases as long as the criminal acts were not part of a continuing course of action. In this investigation the charges were separated by a few weeks each, which will likely stand up to any type of double jeopardy argument. The lead defendant is charged with dozens of counts of CDS possession with intent to distribute and conspiracy to do the same. 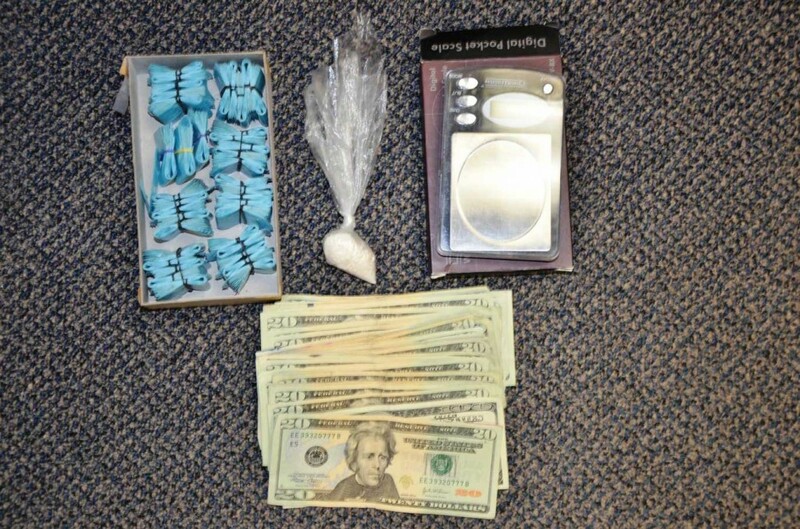 Possession with intent to distribute narcotics such as heroin or cocaine is a felony with a 20-year maximum penalty. Conspiracy has the same maximum penalty but is a common law offense that is classified as a misdemeanor. At least two of the defendants are charged with illegal firearm possession and possession of a firearm during the commission of a drug trafficking offense. Each of these charges carries a minimum mandatory prison sentence, which cannot be waived by the judge and can run consecutive to any other count. While this recent bust was large by Maryland standards, the police did not recover an amount of CDS required to trigger volume dealer or drug kingpin laws. These laws greatly enhance the penalty for possession or distribution of large amounts of drugs and place a 40-year maximum penalty on anyone who imports a large amount of CDS into the state. The threshold for these laws is 448 grams of cocaine, 28 grams of heroin and 50 pounds of marijuana, so based on the executed search warrants that we know of the defendants will not have to face these harsh drug laws. Nonetheless the main defendants in this drug bust face a challenging battle ahead in the Circuit Court for Queen Anne’s County. Benjamin Herbst is a criminal defense attorney who specializes in drug charges such as possession with intent to distribute and possession of a firearm in a drug trafficking crime in all Maryland jurisdictions. Contact Benjamin anytime for a free consultation at 410-207-2598. 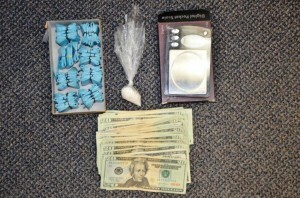 MSP: Queen Anne’s Co. drug bust results in multiple arrests; nine indicted, wmdt.com.